Label your products and print your receipts with our high-speed thermal printers with chip, magnetic stripe, RFID, SAM and fingerprint readers. Portable, robust devices that adapt to all types of mobility environments, allowing professionals to carry out their tasks with maximum reliability. Mobile ruggedized 57 mm label printer. The best solution for printing labels and barcodes for mobility environments. Mobile ruggedized 115 mm label printer with optional continuous roll and Bluetooth connection. Mobile ruggedized 58 mm receipt printer. The best solution for printing invoices and barcodes for mobility environments. 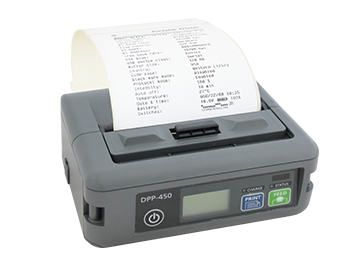 80 mm receipt mobile ruggedized printer with various built-in optional readers. The best and most versatile solution for printing invoices and barcodes for mobility environments. 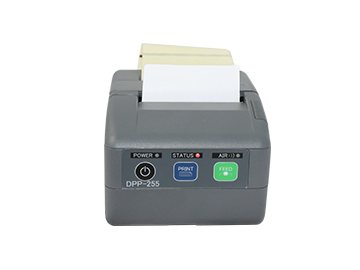 Mobile ruggedized 115 mm receipt printer for quick and easy printing of text and/or graphics (barcodes, logo, etc. ).